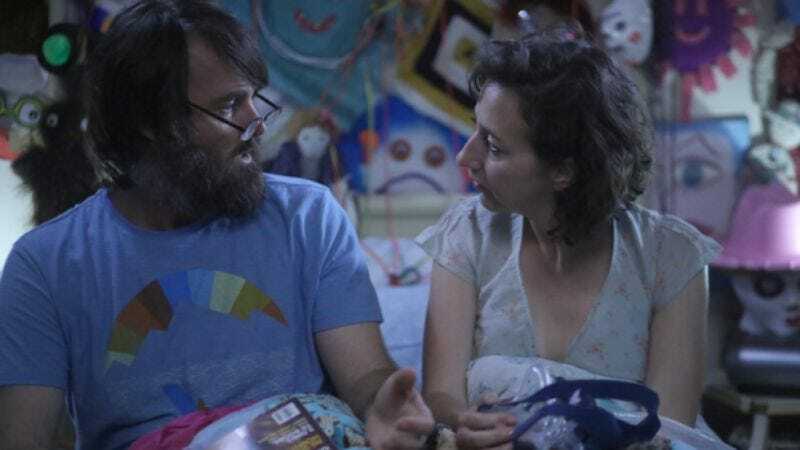 Fox’s post-apocalyptic sitcom The Last Man On Earth, which returns from its months-long hiatus on March 6, has had quite the dramatic second season, with the fall finale ending on two separate, life-or-death cliffhangers. As the show’s lengthy absence from the air finally ends, Den Of Geek’s Daniel Kurland spoke with Last Man writer-producer Andy Bobrow about what has already happened to series star Will Forte and the other ragtag survivors this year. Right off the bat, Bobrow admits that the show had “no plan at all at the end of season one” and that the writers may have been too hasty in expanding the cast during that first batch of episodes. These are the growing pains one might expect of a freshman series, but it’s refreshing that an insider is so open about it. Furthermore, the decision to have Forte and costar Kristen Schaal rejoin the other survivors so quickly in the second season was partly done to appease the network suits, who weren’t keen on paying people like Mary Steenburgen and January Jones to sit around and wait. Den of Geek’s Last Man coverage continues all week.